–Power Strike: Damage % increased. –Slash Blast: Damage % increased. –Soul Blade: Maximum number of enemies it can hit – 5. Attack range increased. –Self-Recovery: “MP Recovery Rate Enhancement” skill has been changed to “Self-Recovery”. •The effects of Self-Recovery are applied even during battle. –Panic: Cooldown applied, but maximum enemy targets and damage increased. •Only 2 Combo Counts are used upon usage. •Panic’s Darkness effect also applies to boss monsters. –Coma: Damage increased and only 1 Combo Count is used upon usage. •Coma’s Knock Down effect does not wear off during its duration. –Brandish: Starting Skill Lv. 1, it can hit up to 3 enemies. 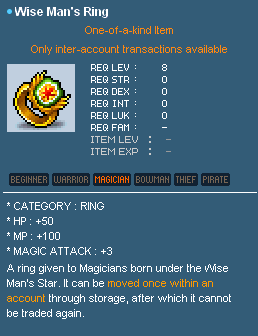 –Magic Claw(1st Job Advancement) : Max targeted number increased. –Fire Pillar(2nd Job Advancement) : damage and range increased. –Elemental Resistance(3rd Job Advancement) : removed. 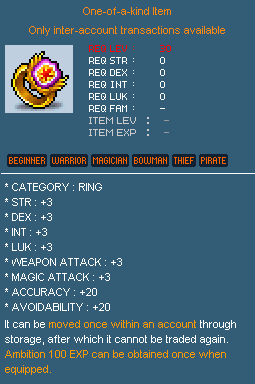 –Magic Critical (3rd) : New Skill that permanently increases the Critical rate and Critical minimum damage. –Archer Mastery (1st Job Advancement): New skill that increases attack range, movement speed, Accuracy, Avoidability, and increases the maximum movement speed limit. –Double Jump (2nd Job Advancement): New skill that allows the character to jump forward twice consecutively. –Storm Spike (2nd Job Advancement): New skill that fires a piercing arrow to the front. –Concentrate (3rd Job Advancement): New skill that increases Attack Power and decreases MP consumption amount for a set time. –Dodge (3rd Job Advancement): New skill that permanently increases Avoidability and turns all attacks used within 1 second after dodging into critical attacks. –Double Shot (1st Job Advancement): Damage increased. –Strafe (2nd Job Advancement): changed into a 2nd Job Advancement skill. Master level -20. –Wind Walk (2nd Job Advancement): Master level – 10. –Puppet (3rd Job Advancement): Master level -15. When the Puppet is summoned, monsters now always attack the puppet first. –Arrow Rain (3rd Job Advancement): Attack speed and hit range increased. Has been changed into a 3-hit attack skill. –Focus (1st Job Advancement): removed. –Storm Break (2nd Job Advancement): removed. 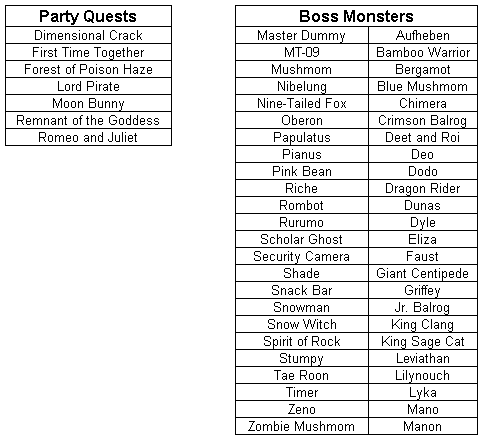 Level requirement for the existing 9 Party Quests have been modified. 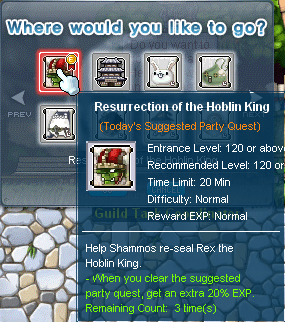 *A party quest will be randomly chosen and recommended daily, Maplers will be awarded with additional of 20%EXP when they have completed the recommended party quest. Boss mob “Dragon Rider” will now drop a new token call “Sky Scale”. Upon receiving the “Sky Scale”, head to NPC Matada at Crimson Sky Dock to exchange for a tablet. 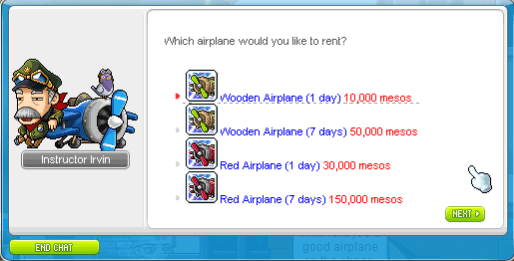 “Sky High” quest will now be available from NPC Maple Administrator. 1. Visit NPC Instructor Irvin at each continent airport and be rewarded with a Wooden Airplane 3-day Coupon. By using this Airplane mount skill, it will shorten time taken to travel between each continents and not required to wait for the default airship to depart. You can also purchase an Airplane Mount from NPC Instructor Irvin. 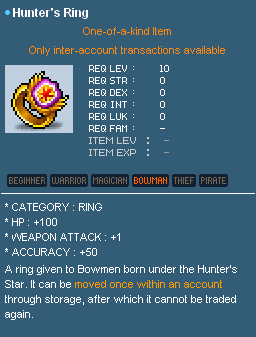 8th February to 6th March 2012, Explorer: Warrior/Magician/Bowman and Knight of Cygnus:Soul Warrior/Flame Wizard/Wind Breaker will receive a FREE SP Reset Scroll upon their login. Upon reaching the first job advancement, a new “Gift Box” and “Star” quests will be received. Double click the “Gift Box” and “Star” quests, 6 set of equipment boxes and a unique class ring will be awarded according to the character’s class. 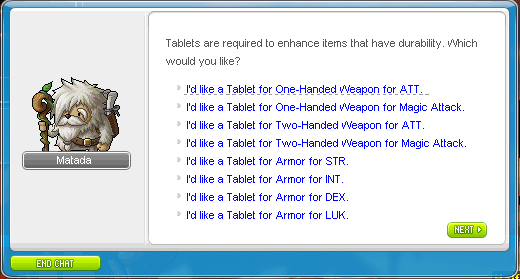 Maplers must reach the requirement level in order to utilize the boxes. –Warrior,Magician & Bowman will receive 6 set of equipments and a unique ring! –Theif & Pirate Class will only receive 3 set of equipments. -Theif & Pirate Class will only receive 3 set of equipments. After completing each job advancement starting from 2nd Job advancement, Maplers will be rewarded with a job-specific weapon scroll and a 1.5x EXP buff item. A 100% Mastery books specific to the character’s job will also be issued to 3rd Job Explorer Warriors, Magicians and bowmen. –Theif & Pirate Class will NOT receive any of the following. 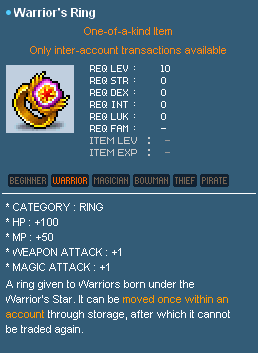 Any newly created explorer character that reaches level 70 within event period will receive a “Explorer’s Gratias Ring”. 1. 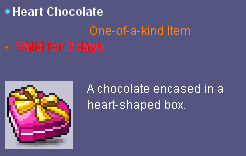 Gather all ingredients as required by Ace of Heart to make a Heart Chocolate. 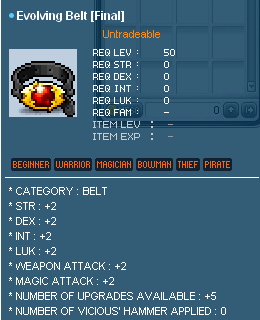 Safety Charm= won’t lose any EXP when dying in the middle of the battle. Heart Chocolate will be used up when you die or goes bad in 3 days. Minimum level requirement for this event is level 8. Enhance Heart Chocolate into a Chocolate Basket that will extend it’s magical powers for another 5 days! 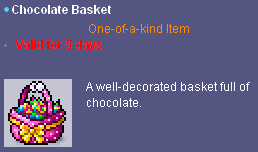 You only able to enhance Heart Chocolate into a Chocolate Basket ONCE. 5. Friday: Find the gold at the end of the rainbow as we open Gold Richie’s Treasure Vault! When using the Special Beauty Coupon, Skin, Eyes and hair will be randomized. Most of the Monsters do drop the Special Beauty Coupon. 1. Hunt“Mardi Gras Bead Necklace” from all monsters. 2. Approach NPC GAGA to exchange for a Mardi Gras Mask reward. Elin Forest, Neo Tokoyo, Von Leon Castle, Fortress of the Knights has changed to normal maps. Party Play Bonus EXP system has been removed for Von Leon Castle & Fortress of the Knights. Quest notifications that appeared above the character’s head have been moved to the left side of the screen. System Event Calendar has been added. Mini map increase to max size automatically in certain maps. Party EXP distribution has been modified. Dimensional Mirror’s appearance has been changed. Please be informed that starting from 8th February 2012, Pam’s Song will not be activated with equipments that were used with the following cash items. System photo taking session for Sweety Wedding Ticket and Premium Wedding Ticket will be removed. However, players are still able to capture their wedding photos through the in-game screenshot function. Kindly download the Manual Patch from the link ABOVE.